Stock Android Nexus devices will be the first to receive an update next week, containing new emoji. According to Android's Hiroshi Lockheimer, the new designs will be part of the Unicode 8.0 standard which has already been added by Apple in iOS 9.1. A tweet from the Android executive showed a Unicorn, a Lion's head and a Crab. He also wrote in a second tweet that the new emoji will require a "new keyboard, new font, new code." And that means that a system update is on the way. Manufacturers are being sent the new font and the tech involved, so if you don't own a Nexus phone, you'll have to wait for the update. And there might be some interesting features coming. Lockheimer tweets that he doesn't want to "spoil all the surprises." So if you own a Nexus device, prepare to expand your emoji options as soon as next week. And yeah, the new keyboard, font, and other surprises are sure to please as well. For other Android users, you might have to be patient before this update reaches your phone. Emoji driven updates huh? Really? I know people that will really, really.... really need this emoji thing, unbelievable. Hiroshi Lockheimer ‏@lockheimer 4h4 hours ago @rjcc new keyboard, new font, new code, so new system image. 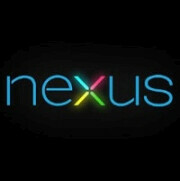 Nexus will update next week. OEMs decide their own update schedules. So non-Nexus devices will get it ages later. What a joke. How about they fix their broken Hangouts app first? Nexus devices will get it like AT&T has given us Nexus 6 devices Marshmallow? Dude i just wanted to share something that i of no need to me but could be useful to someone. Just relax.